Applause (1973) - FilmCritic.io - Your ratings. Your suggestions. See what's on Netflix, or try "pirates of the", "genre:TV Movie" or "actor:Ti Ai" - only one search type at a time for now, multi-filtering coming soon! 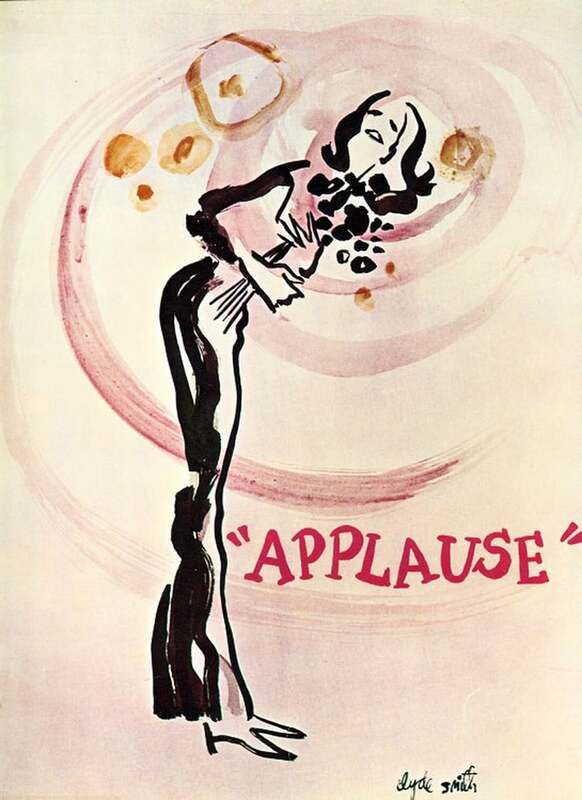 Applause is a musical with a book by Betty Comden and Adolph Green, lyrics by Lee Adams, and music by Charles Strouse. The musical is based on the 1950 film All About Eve and the short story on which the movie is based, Mary Orr's "The Wisdom of Eve". The story centers on aging star Margo Channing, who innocently takes a fledgling actress under her wing, unaware that the ruthless Eve is plotting to steal her career and her man. The musical opened on Broadway on March 30, 1970 and ran for 896 performances. It won the Tony Award for Best Musical, and Lauren Bacall won the Tony for Best Actress in a Musical.The musical was later adapted for television, starring Bacall, with Larry Hagman replacing Len Cariou in the role of Bill Sampson. It aired in the United States on CBS on March 19, 1973. It has not been released commercially, but it is available for viewing at the Paley Center for Media (formerly The Museum of Television & Radio) in New York City and Beverly Hills, California.